From the author of the Patrick Melrose novels comes a send-up of a certain major literary award, satirizing both the literary establishment and the writers who crave its attention. The object of satire here is book awards: most notably, the well-known Man Booker Prize, depicted in barely disguised terms as the Elysian Prize...Both the judges on the panel for the Elysian Prize and the hopeful authors of submitted books are sent up here with a light, wicked hand reminiscent at once of Evelyn Waugh and Muriel Spark … Mr. St. Aubyn has a lot of fun giving us samples from these novels that underscore his gift for mimicry and parody, while at the same time charting the political alliances and alliances of convenience that develop among the judges as they jockey for position and influence, extracting — and trading — promises of support as if they were Iowa caucus voters, not judges of literary merit ... It’s simply an entertaining cartwheel of a book with a glittering razor’s edge. Lost for Words is another comedy, a send-up of literary prizegiving in general and of the Man Booker Prize in particular … What makes the book interesting is not so much its obvious message as its verbal dexterity: its mimicry, its stylishness, and an almost hectic inventiveness that has the sneaky effect of casting doubt on the whole novel-writing enterprise. 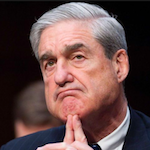 Far from being at a loss for words, most of the book teems with cleverness, with a sense that words can be made to do almost anything—and a suspicion that that may be tantamount to nothing … St. Aubyn himself is a conjurer, able to take that greasy deck of cards and make it perform tricks of a sort rarely seen anymore. 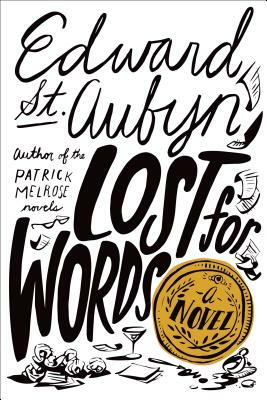 St. Aubyn’s latest, Lost for Words, is a book mainly about the flight from pain through reading and writing. It is also a sporadically jaunty, often hilarious farce about a literary prize … The novel’s other characters offer many laughs, but aren’t drawn with nearly the same empathy and sharpness as Sam, Katherine, Alan, and Vanessa. The book is like a letter written half with a calligraphy pen and half with a purple magic marker. Both parts, in their own ways, are very good. Some of the latter scenes are very, very funny … St. Aubyn’s attempt to weave the theme of pain and avoidance through his more satirical portraits doesn’t quite work. He rations his sympathy and skewering too unevenly among the characters. What did you think of Lost for Words?